Torque Gauges | IMADA CO.,LTD. Torque Gauge Enables To Measure Turning /Twisting Force. A Torque Gauge is as the name, a measuring instrument of Torque (= Force x Distance). It is used for a variety of turning, twisting or rotating force measurements such as a check of screw fasten torque, bottle opening/closure test, durable twist test of PCB etc. →See the applications of torque measurement. IMADA torque gauges and torque testers provide accurate torque measurement results. The highest sampling speed 2000 data/sec is ideal for capturing accurate peak torque in both direction (CW/CCW). In addition, the torque transition is able to be drawn into a graph at 2000 data/sec with an optional software. 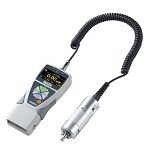 The detailed torque analyses are possible (Depending on the torque gauge and torque tester). Also, IMADA has a lot of types of torque gauge attachments. They enable various torque measurements and offer the suitable measurement for your needs. This driver torque meter is ideal for the daily torque maintenance of motor screw drivers and torque drivers. It is possible to use by simple operations. The capacity is from 8 kgf-cm to 80 kgf-cm. This screw cap torque tester is ideal for measurements of bottle opening, key locking, lip stick twisting, etc. The 2000 Hz sampling rate captures accurate torque. The capacity is from 2N-m(200N-cm) to 10N-m(1000N-cm). 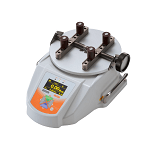 It is a portable type torque gauge. You can carry it and measure torque wherever you want. It is able to measure torque tightening a screw, turning a rotary switch etc. The capacity is from 50N-cm to 10N-m(1000N-cm).